We live in a self-proclaimed Urban Age, where we celebrate the city as the source of economic prosperity, a nurturer of social and cultural diversity, and a place primed for democracy. We proclaim the city as the fertile ground from which progress will arise. Without cities, we tell ourselves, human civilization would falter and decay. 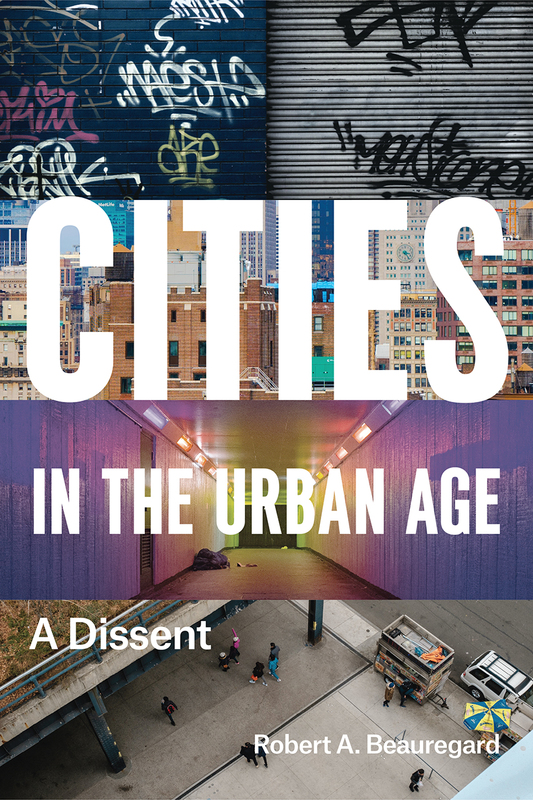 In Cities in the Urban Age, Robert A. Beauregard argues that this line of thinking is not only hyperbolic—it is too celebratory by half. For Beauregard, the city is a cauldron for four haunting contradictions. First, cities are equally defined by both their wealth and their poverty. Second, cities are simultaneously environmentally destructive and yet promise sustainability. Third, cities encourage rule by political machines and oligarchies, even as they are essentially democratic and at least nominally open to all. And fourth, city life promotes tolerance among disparate groups, even as the friction among them often erupts into violence. Beauregard offers no simple solutions or proposed remedies for these contradictions; indeed, he doesn’t necessarily hold that they need to be resolved, since they are generative of city life. Without these four tensions, cities wouldn’t be cities. Rather, Beauregard argues that only by recognizing these ambiguities and contradictions can we even begin to understand our moral obligations, as well as the clearest paths toward equality, justice, and peace in urban settings.